The City of Lights. The City of Love. Food Lover’s Paradise. Crowded Earth Kitchen explored the culinary scene in Paris for one glorious week, and is delighted to share three extraordinary dishes with you! 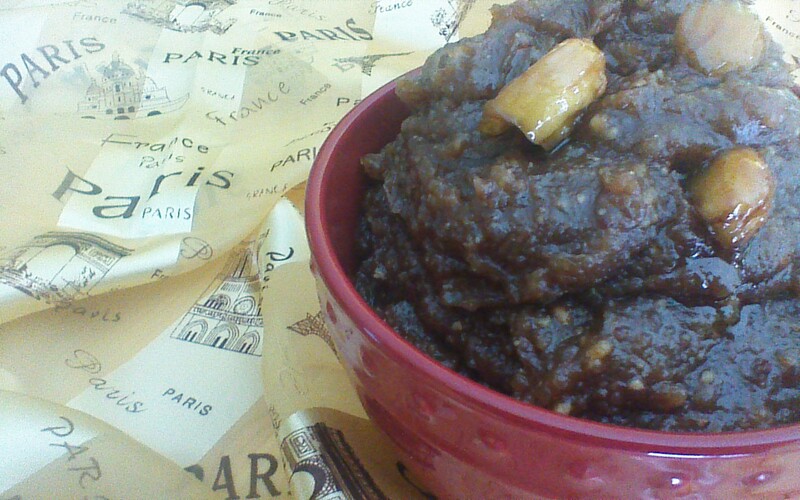 Today’s dish is crème de marron, or chestnut cream. 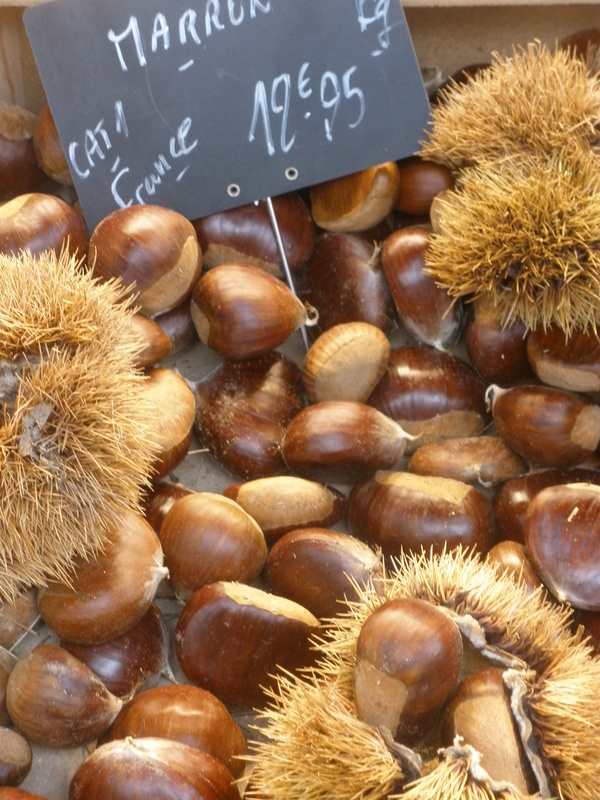 Prior to my Paris adventure, I had never even tasted a chestnut. This starchy, earthy tasting nut is revered in France, readily available in markets, and featured in several dishes found in Parisian cafes. 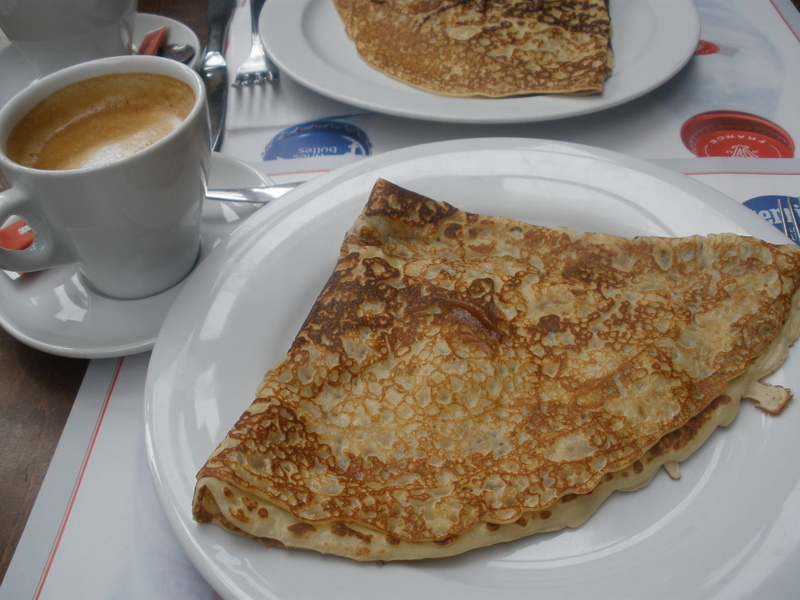 I ordered a crepe filled with crème de marron, and instantly fell in love with the creamy, caramelized, nutty sweetness that is chestnut cream. Step 1) Using a small paring knife, score an X into the flat side of each chestnut. Step 2) Add chestnuts to a pot full of boiling water. Reduce heat and simmer for 20 minutes. Drain chestnuts. Step 3) When cool enough to touch (but not cold! 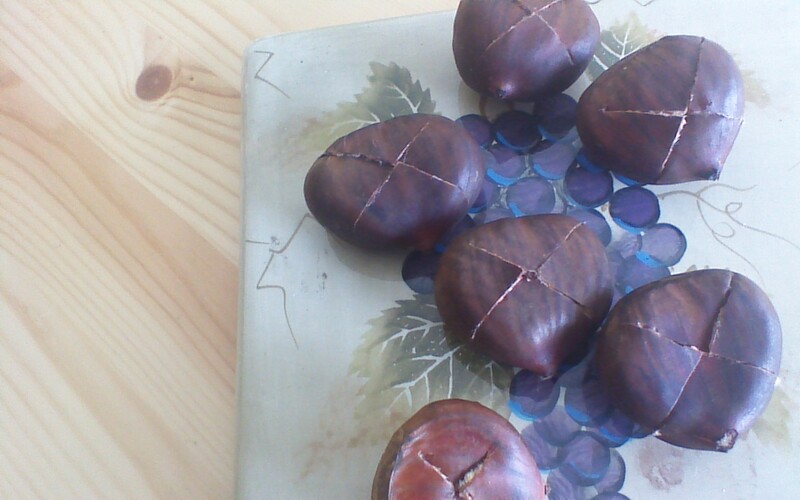 ), peel chestnuts by pulling back on the points of the scored X’s. Be patient, this takes a little while. 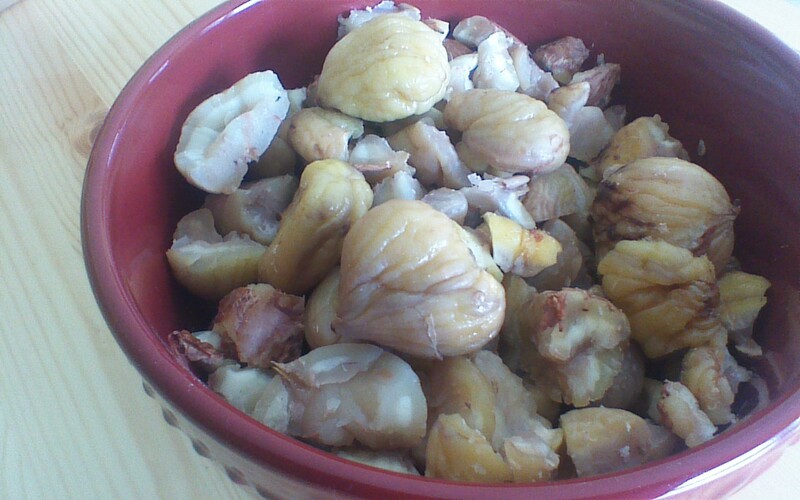 If the chestnuts become too cold and peeling becomes difficult, return them to boiling water for a minute or two. You will end up with about 4 cups of peeled chestnuts. Step 4) Combine 2 cups of water, the brown sugar, and the white sugar in a pot. 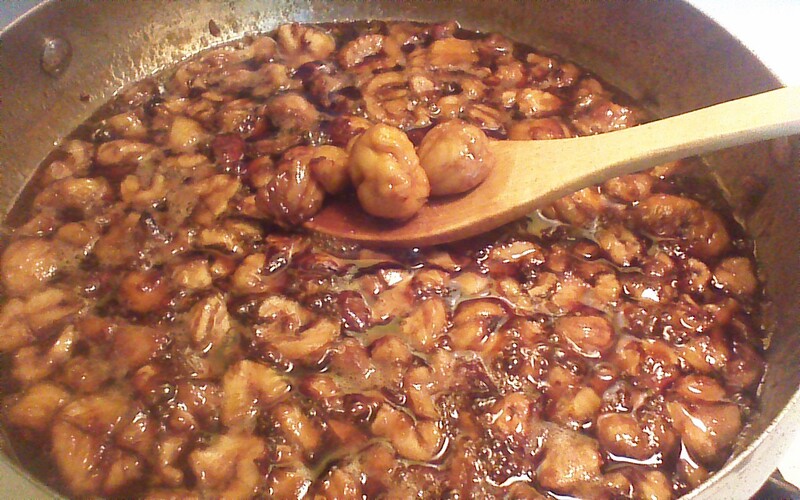 Heat (low-medium) and stir until sugar dissolves. Add peeled chestnuts. Simmer, uncovered, for about 15 minutes until sauce thickens and just begins to caramelize. Step 6) Using a spatula, work your puree through a sieve. The puree that goes through the sieve is your finished product. Depending upon how fabulous or not-so-fabulous your blender is, you will end up with roughly 2 cups of super creamy creme de marron! Whatever you do, don’t throw the chunky remnants in your sieve away! Store them in a small container in your freezer – we’ll bake with them another day. Or, just eat them with a spoon. I won’t tell. This entry was posted in Breakfast, Desserts, Vegan, Vegetarian and tagged Chestnut, Cream, Food, France, marron, Paris, Sugar. Bookmark the permalink. ← March Madness Has Arrived, Crowded Earth Kitchen Style! thanks for visiting my site. 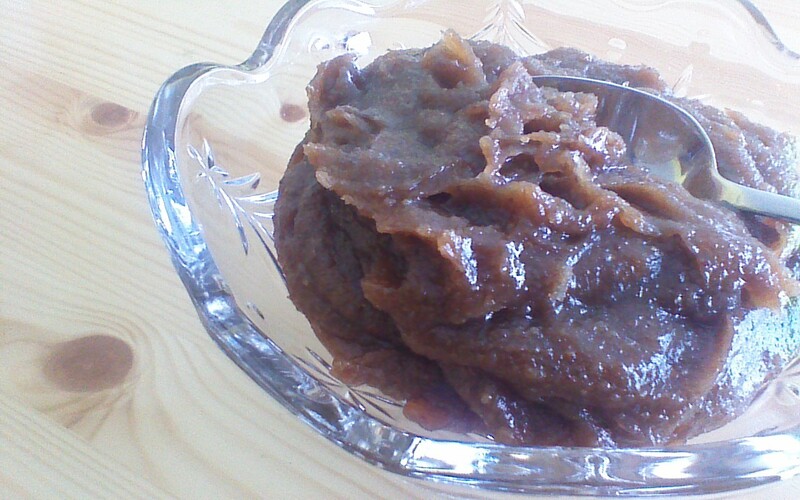 It is always nice to find like minded sites and when I came over to yours from mine, you have this fabulous chestnut creme recipe that I had on my list to try!! I am going to follow you!!! thank you and look forward to your posts!! Nice to eMeet you! If you try the chestnut crème, I’d love to hear how it turns out! A little jealous of your week in culinary Paris– but thanks for sharing it all! Oh, hello. Firstly – I was tickled pink to get your comment, thank you. Secondly – I’m very impressed that you made your crème with fresh chestnuts, the only times I’ve made it I’ve used vacumn packed chestnuts, which worked just fine. It’s absolutely wonderful with chocolate mousse. I really want to make glacé chestnuts as they are my absolute cannot resist treat, but it’s such a process to do. I’ll make them one year for sure. I look forward to parts two and three of your Parisian adventure. 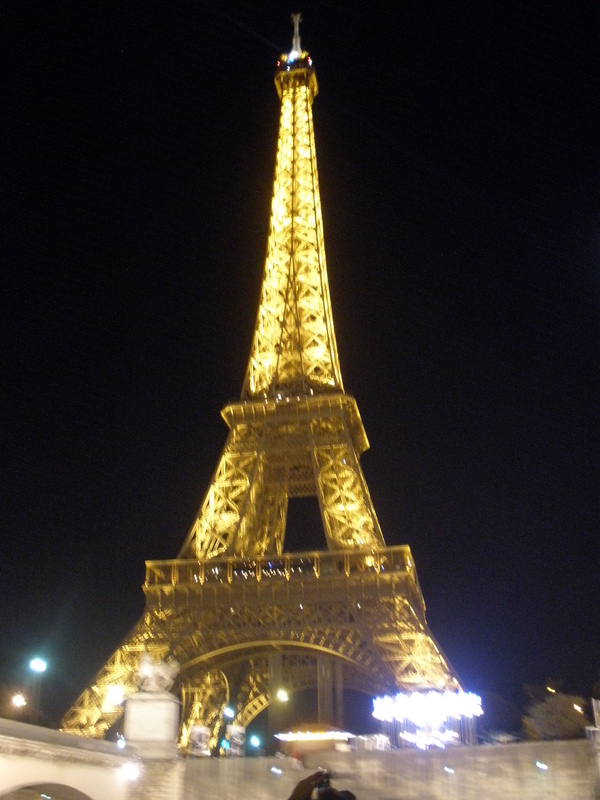 I’m writing up another Paris post tomorrow, but I doubt that I’ll have it ready by tomorrow! I roasted chestnuts over my fireplace this winter. Kitch, I know. This looks MUCH more fabulous than roasting. I’ll have to try it! So happy to find a fellow chestnut lover! You really did them proper justice here- That spread looks perfectly rich and luscious, not to mention cheaper per once than the questionable stuff that comes out of a can. Here in England, the smell of roasting chestnuts is one of the joys of late autumn. I actually prefer the smell to the taste though.